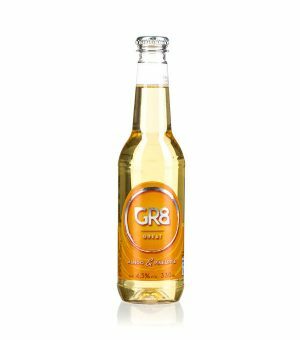 GR8 is a premium cider with a taste combination of mango and pineapple. It is a quality product containing Swedish-made fruit wine and is flavoured with natural ingredients. GR8 has a fresh, delicious flavour and the best way to enjoy it is well chilled. It is perfect as an aperitif and is a popular alternative to wine and beer. Soon, we will be expanding the range with several exciting, delicious flavour combinations.